Before Ace Atkins became noted for being the writer chosen by Robert B. Parker’s estate to continue the adventures of Parker’s best known creation, Spenser, he was an accomplished novelist in his own right. Although definitely a crime/mystery/noir author, Atkins made a career out of tackling some of the biggest crimes out of American history and turning them into knuckle cracking, action packed historical fiction novels. Fortunately for readers of his work, these are also the crime/mystery/noir novels he is known for. Now, having made the claim above about the crimes Atkins tackles, please note. Many of the murders, kidnappings, and other assorted evils he turns into great fiction are probably not events most people today recall or even are aware ever happened. These crimes, however, when committed, literally shook the foundation oftentimes of society as it was then. If you believe that scandals as well as people being tried in the media before in court is a new thing, then Ace Atkins will gladly prove you wrong again and again. Much of what Atkins tackles in his novels still applies to our modern era, even though they are set in the past, usually the early to mid 20th Century. And it’s not that Atkins has to stretch or change things for the stories to be timely. He actually simply tells a good story, using what is available to him. It just so happens, as Devil’s Garden shows, yesterday and today have a lot more in common than most think. Devil’s Garden focuses on the events leading to and the trial of Roscoe “Fatty” Arbuckle, beginning in September 1921. A name lost to history except for its connection to this case, Fatty Arbuckle was the Hollywood comedy star of his day. Known for playing outlandish characters and particularly making a name for himself in the Keystone Cops shorts, Arbuckle was at the top of his game and lived life as if he were truly king, throwing lavish parties, driving a Pierce-Arrow complete with bar and toilet around, and essentially doing whatever he wanted. Until a party in a hotel in San Francisco in September 1921 ended with a little known starlet named Virginia Rappe dead and Arbuckle accused of crushing her to death with his enormous body. With this as a premise, Atkins takes an aspect of the case and turns it into one of the best novels I’ve read in a long time. 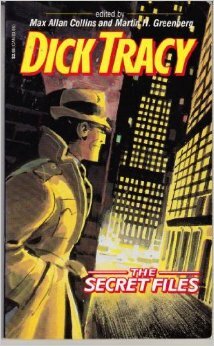 It turns out that Dashiell Hammett, the author of The Maltese Falcon and one of the leading masters of mystery fiction, often credited for perfecting the hard boiled detective, was assigned to the Arbuckle case. Hammett worked for the Pinkerton Detective Agency in the late teens into the early 1920s and was one of the operatives assigned to help prove that Arbuckle did not have a part in Virginia Rappe’s death. This book is really three stories in one, and Atkins delivers with all three of them. First, it is about Hammett and the man he was behind and before the great books he wrote. Atkins pulls no punches, writing Hammett as a real human being, husband, tough guy, lunger (Hammett suffered from tuberculosis), and most notably a man struggling with himself as much as the world around him. Atkins not only paints a complete and full picture of Hammett, but he also gives readers a believable, credible, and fallible hero to follow as Hammett weaves his way through the complicated tangles that made up the Arbuckle case. Devil’s Garden is also a brilliantly executed courtroom thriller. As much time is spent on the proceedings in the first Arbuckle trial as is on Hammett’s investigation of the case. Not only does Atkins deliver fantastic interpretations of the principal players, but he also illustrates the actual courtroom action in a way that makes it as exciting as Hammett chasing down the mysterious ‘Dark Man’, a character integral to the book. Lastly, this novel turns out to be a multifaceted love story. Three couples, really, are at the center of the romance here- Hammett and his nurse wife Jose, Arbuckle and his actress wife Minta Durfee, and… well, let’s just say the third couple involved a movie actress and a man who single handedly, for better or worse, may be responsible for the state of journalism today. As much betrayal, scandal, and heartfelt emotion is displayed by Atkins dissecting these three relationships as is done by any other focus in the book. 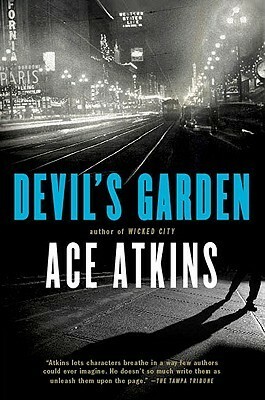 And the beauty of all of it is Atkins takes all three of these ‘novels within the novel’, and ties them perfectly together into Devil’s Garden, a book that should be counted as a crime noir classic all its own. Devil’s Garden is definitely a Five Pager for me. And in my own parlance, this definitely gets six out of six bullets for me. It is a fully loaded gun that goes off and hits every target it aims at. This review, in all honesty, is actually an older review of mine. It is not one that has ever appeared here, but was posted once long ago on my now deceased personal review blog. The reason it is being posted here, slightly updated to allow for the passage of time and new thoughts, is that due to a series of circumstances worthy of a fictionalization at some point when I’m really hard up for material, my previous blog is completely missing from the ether of the internet now, a vacant lot on the information superhighway. The author has asked more than once to see this review, so after scrounging up the document I originally posted, I have decided to make sure he- and the rest of the world- sees it here. Set in 1983, The Sleep Detectives focuses on Tony, who is a regular run of the mill type guy who works in a grocery store. That is, a regular guy who has the ability to use his dreams to essentially go back in time to watch past events as they actually occurred. Using this strange ‘power’ to catch legendary concerts and such that he’s missed, Tony, with the encouragement of his two friends, Danny and Mike, decides to try to put this mental time travel to better use, to help others find things they’ve lost. What follows is the development of not only Tony’s ability, but also his growing pseudo career of uncovering secrets and finding the truth while he sleeps. Although this is not a high action adventure novel, Tony and his friends end up in a situation that places them and those they hold close in danger and have to decide if it is best to continue to use Tony’s gift for others or if he should go back to watching Jimi Hendrix in action. The Sleep Detectives is an odd little book, and that is very good in this case. It is quite honestly as if the author has put a camera into Tony’s world and just so happened to catch an interesting situation, one that he continues to follow, much to the joy of the reader. Bieniek builds characters slowly, deliberately, revealing things about Tony and his buddies as necessary, not wastefully. The author carries this skill even further by giving a vibrant life to even the most rudimentary of supporting characters, such as the bad guys involved and Tony’s boss. 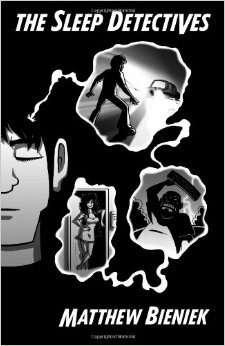 This book is equal parts mystery peppered with the supernatural in a sense and slice of life/growing up in the 1980s. All in all, a pleasant experience with just enough unique to stand out. As far as the writing goes, the author’s voice is strong overall. There are moments in the book that could be more intense, have more impact. Most of those relate to the actual danger that Tony and others find themselves in. It feels as if the author is trying to make those events seem as commonplace as the rest of the ‘slice of life’ aspect of the book. I understand that desire, but I think those scenes would have benefitted from a tighter narrative and more descriptive phrasing. The Sleep Detectives definitely demands a 4 out of 5 pages from me. It is most definitely a book anyone interested in quirky action and characters to match would enjoy. Using my own scale, this book definitely gets 5 out of 6 bullets, only losing ground slightly during the scenes fraught with danger.